We are pleased to welcome the newest member of our Tucson staff, Jordan McMahon, to the team. Jordan is the new Tucson Membership Coordinator and is ready and willing to help out our members with any questions they have. You can reach him at [email protected] much of what makes our local community great is the stories that are shared by our members. We are excited to have Jordan on the team to help tell those stories. 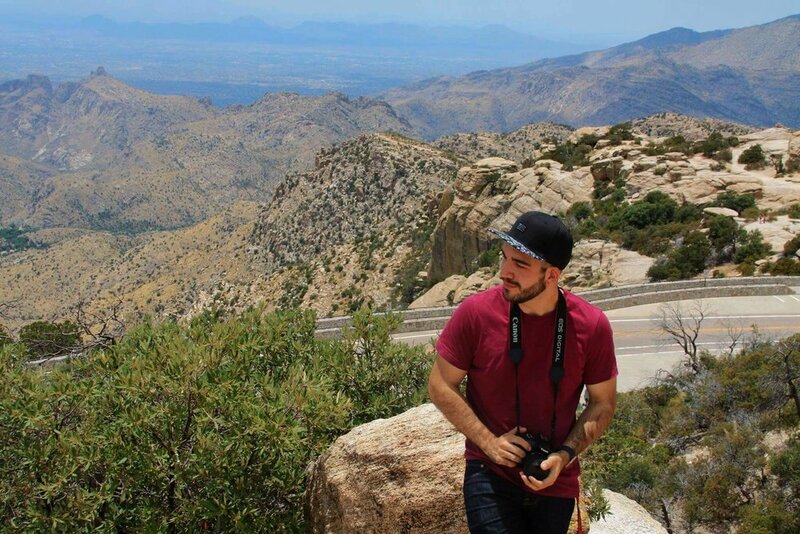 Tell us a bit about your background: I was born and raised in Tucson, Arizona. I grew up in the center of town, and have been lucky enough to move around the city through my life. I went to Empire High School and spent most of my time in the drama department, working stage tech for plays and eventually acting in a few my senior year. I started studying at the University of Arizona in the fall of 2010 and bounced around several majors as I was unsure of what path I wanted to take. After I wrote an opinion piece for one of my English classes, my professor suggested that I take the idea and start a site dedicated to posts like the one I turned in. I went with it and ended up starting a tech news site that I ran from 2011 to 2015, covering new gadgets and apps, as well as games and a few other items. After launching my website I started wanting to pursue this more seriously and chose to change my major to journalism. While studying journalism I had to follow local and statewide issues so I got to know the community fairly well. I developed a passion for seeking out more in-depth, intimate stories about the people in Tucson, so I started spending more time around the city to find something I hadn’t heard much about but wanted to share with people. I realized there were a ton of local movements, like Startup Tucson and Maker House, as well as a lot of small businesses that none of my friends knew about, so I tried to write about them as much as I could and get people up to speed about some of the cool things going on in our city. What drew you to Local First Arizona? My tata was a doctor at TMC for many years, and I still hear stories about him from people in the community, so my family has a strong connection to Tucson. But for me, after meeting with the founder of Startup Tucson, Justin Williams, for a story I was writing, I joined the team as an intern. While working under Justin I got to learn about Tucson’s vibrant small-business community and witness its growth firsthand. It was awesome to see things like Maker House get started up, talk with a kid in junior high who was working on his first app, and watch Downtown Tucson blow up. It’s filled with little restaurants that have been thriving for decades, as well as new and innovative ideas that make it fun to explore. Having the chance to be a part of Tucson’s growth and share what makes it such an awesome community is something I’m really excited about. What is your favorite local business and why? Even though it’s still fairly new, I really love Reilly downtown. The food is awesome, but my favorite thing about it is the way they’ve managed to create three unique environments that all thrive in their own way. The beer garden is a great place to relax and hang out with friends, and they have an awesome selection on tap. The basement is a lot of fun, too. It feels like a secret place to hang out and get away, and they have some of the best cocktails in town. Tell us about one of your life's passions: My life’s passion is finding interesting stories. So I like to spend a lot of time out talking to people, learning about their backgrounds and finding what makes them interesting. I also love to write and take pictures, so that’s where a lot of my free time ends up going. Get to know the whole Local First Arizona team by clicking here.